PSMI’s team of application engineers, procurement specialists, and supply chain experts work with customers to identify, test, and implement cost savings. We’ve developed a web application that tracks every cost savings idea through closure. All ideas must be approved by the customer before it can be implemented. Any cost savings idea that impacts our client’s operation is tested extensively prior to implementation. Cost savings are only measured for one year, however, they last for the life of the operation which is typically five to seven years. The actual cost savings realized by the customer is five to seven times the following amounts. 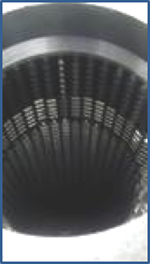 A reamer/snap ring cutting was modified so that the tool life increased from 2,500 to 15,000 cycles. This tool was improved through 4 months of extensive testing and incremental improvements. Extension of the tool life generated $242,000 in cost savings for our client during the first year of operation. Our engineers evaluated a Pot Broaching operation, and after performing engineering studies it was determined the guides could be eliminated and the number of cutting teeth increased. This change was tested over several months, and the tool life was extended by 20%. This resulted in a $150,000 in cost savings for our client during the first year of operation. PSMI's sourcing and engineering teams were able to find a new supplier for the manufacturing of transfer gears. The new source provided a lower cost and higher quality tools. This change in sourcing helped our client generate $114,000 in cost savings. Our engineers studied the wear patterns of a PCD reamer and determined the tool was being discarded prematurely and that the tool had a lot more life left than originally estimated. This tool was extensively tested for almost nine months to verify the assumptions of our engineers. The extended tool life generated $750,000 in cost savings for our client.